This article will help you to fix "Windows installation encountered an unexpected error (0xE0000100)" while installing Windows 10. Recently, we’ve shared the fix for the issue where you can’t launch Windows 10 setup. The fix was intended to work, if you’re installing Windows 10 via Media Creation Tool/Windows Update. If you’re making clean install using the bootable USB media and you can’t fire up setup wizard, this post will address such an issue. The above said error message appears when you hit Install now button and just after Setup is starting screen (step 3 of this guide). Due to this error, you can’t go ahead with Windows 10 installation. Some users may find same error, even if they restart the machine or the installation process. 1. Check the machine configuration and make sure it meets the Windows 10 hardware requirement(s) criteria. 2. The corrupted installation media may be the common cause here. You should re-download Windows 10 ISO files and recreate bootable USB. Perform clean installation then and see if you can proceed. 3. Your machine/device must have enough battery power when you opt for clean install. 4. Make sure the hard drive is working properly. You may check it by plugging it to another machine, if possible. 5. Users making clean install using virtualization may try altering the virtual machine configuration parameters. 1. Click OK on the error message. You’ll see below shown screen. Click Repair your computer link. 2. Then hit Advanced options entry on next screen. 3. 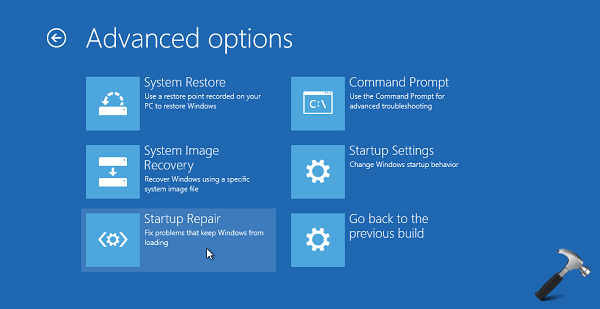 Under Advanced Recovery Options for Windows 10, click on the Startup Repair option. 4. 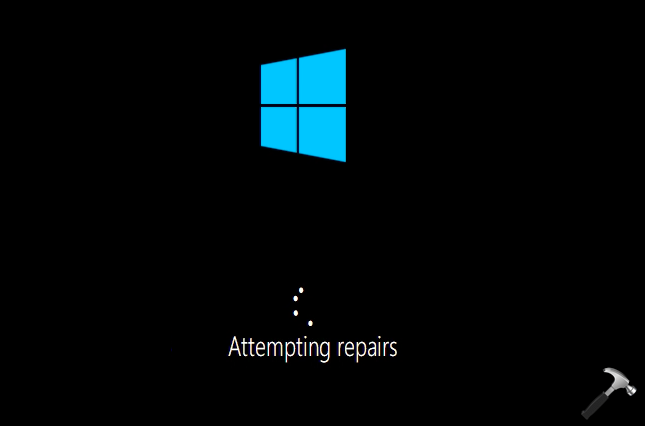 Let Windows repair your machine then. The system may either rebooted automatically. If it doesn’t, reboot manually. After this restart, you’ll be able launch Windows 10 setup without any error.